Fall 2016 marked the end of an epoch at Colgate. 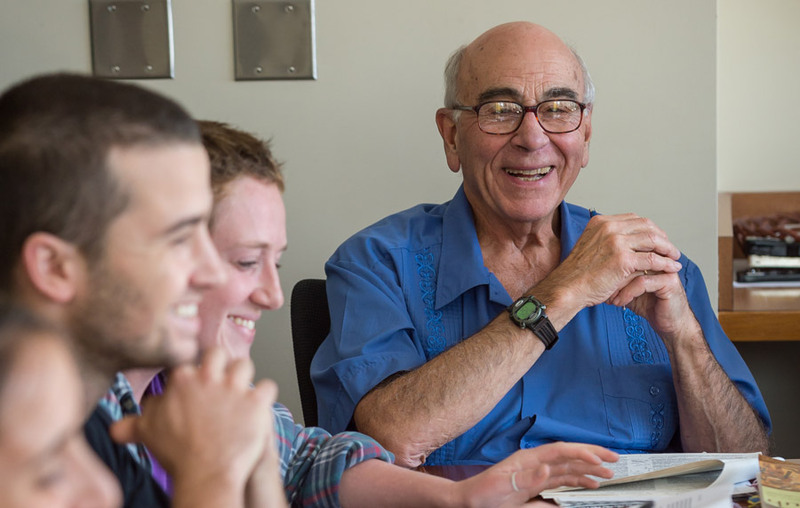 At 2:35 p.m. on Thursday, December 8, astronomy professor Tony Aveni closed his last class, retiring after 54 years on the hill. Aveni arrived at Colgate at age 25, when space was at the forefront of America’s consciousness and at the top of its agenda. 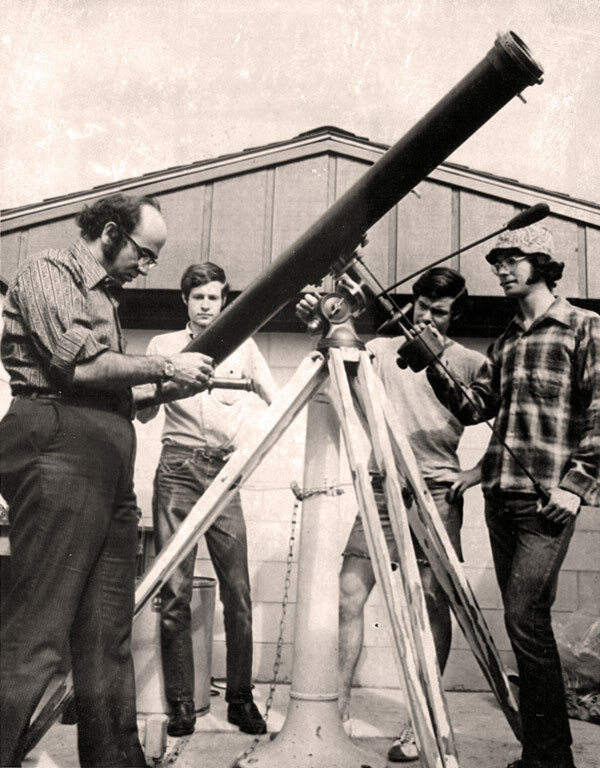 Thanks to the nascent space race, astronomers were in high demand — both in industry and in higher education. But Aveni wasn’t just a man on the verge of a marketable PhD. He had a passion for the skies and for his students. Steeped in Colgate’s creative atmosphere (and enveloped in its snowy winters), he soon became a liberal arts convert, mixing his traditional academic background in the sciences with newly acquired insights into Mesoamerican religion and culture. He applied this scholarship to the analysis of Mayan calendars and architecture, to the printed and unprinted record of a people who seemed constantly to be looking upward. The Mayans knew no boundary between science and religion, and Aveni shied away from that duality as well. He discovered that, whether fact- or faith-based, Mayan beliefs were the platform for an astonishingly precise Earth-bound space program. Year after year, expedition after expedition, Aveni compounded his body of work until it placed him in the pantheon of archaeoastronomy, the discipline that studies the astronomy of the ancients by sifting through their written records and the rubble of their ruined cities. It traces its origins back to the late 19th century, when British gentlemen like Sir Joseph Norman Lockyer took the measure of Stonehenge and used the angle of the stones relative to the sun to estimate the age of the site. Aveni advanced his field by honing its techniques and bringing new technology to the intellectual frontiers of Central and South America. 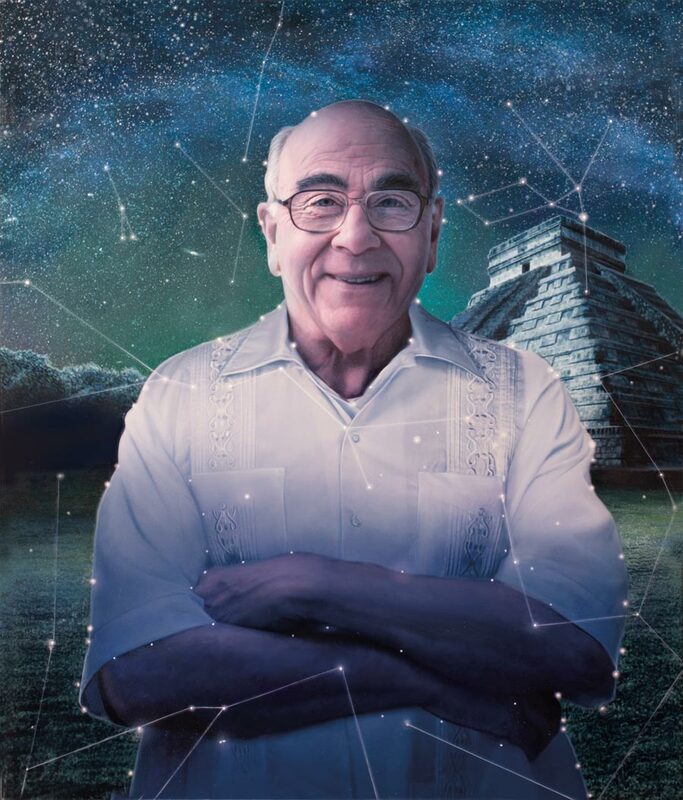 “I certainly consider him the founder of modern archaeoastronomy of Ancient American civilizations,” said longtime colleague Johanna Broda of the Instituto de Investigaciones Históricas at the Universidad Nacional Autónoma de México. Fans of the pioneering archaeoastronomer shouldn’t despair at news of his retirement from the Colgate classroom. Aveni’s career is merely entering a new phase. 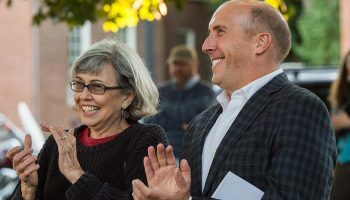 Before leaving town for a fellowship at the Institute for Cross-Disciplinary Engagement at Dartmouth next fall, Tony Aveni cast his mind back to the pre-dawn of his career, reflecting on the constellation of characters and events that have made his life better than average. I went to a poor inner-city school in West Haven, Conn., and I went to undergraduate school at Boston University — I never had a class with fewer than 100 people in it. I scraped through with a 3.2 GPA, which was about average in those days. 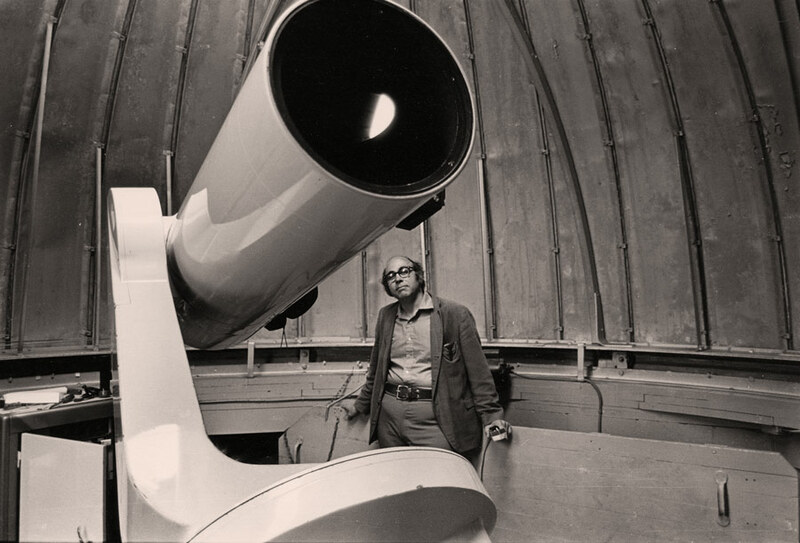 I was admitted to the University of Arizona’s astronomy PhD program in 1960. There were only four astronomy professors there at that time, but the U.S. government decided to put up the Kitt Peak National Observatory right outside Tucson. That ended up populating Tucson with the largest number of astronomers per capita in the world. Right place, right time. I remember very well starting my dissertation. I was on Kitt Peak when my wife, Lorraine, came across the gangway into the observatory and hollered up to me at the telescope as I was preparing for the nighttime activities. “Tony, we’re broke,” she said. “We’re broke?” I asked. “I have a $2,200 fellowship, and you’re working for Ma Bell in the telephone department making $1 an hour. How can we be broke?” She went through the budget with me — as she still does — and verified that we had no money. So, I dialed Colgate. Actually, I called the Hamilton operator, and I said, “Get me 4.” (Madison County was about the last place in the country to go dial telephone, so Colgate’s phone number was 4. The bank was 2.) The operator for the university connected me with Professor Clem Henshaw, chairman of the physics department. Wonderful man, and he interviewed me for about 10 minutes. This was 1963, middle of the summer, two years after John F. Kennedy said that we were going to put a man on the moon by the end of the decade. That meant that anybody who could breathe on a mirror and who was studying astronomy was going to get a job, because all the astronomers were going to NASA, Goddard, and Grumman Aircraft. Henshaw said, “Yeah, you’re hired.” And he mailed me a map to show me how to get to Colgate. 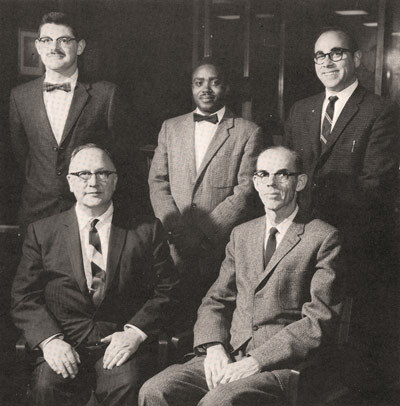 Physics department, 1965. Seated: Donald Berkey, Clement Henshaw. Standing: Jim Lloyd ’54, Lawrence Jordan, Tony Aveni. The next year, on the day after Christmas, about 12 of us piled into a couple of vans in the parking lot of Lathrop Hall, where my office was located. We drove for 31 days, 11,000 miles, to 25 sites in Mexico. I developed a technique for measuring alignments of pyramids using astronomical settings so you didn’t have to use a magnetic compass, which wanders. We measured true north by using the sun and stars as a fix, using a surveyor’s transit and chronometer to get accurate time. We didn’t know what we were doing, and we didn’t care — it was a good way to get out of the Hamilton winter. We were in Monte Alban, which was about eight hours’ rough drive south from Mexico City in those days, and there was a pentagonal building. We read in the guidebook that the corners pointed to where the sun goes down on the first day of winter, spring, summer, and fall. They didn’t. We measured them. “How are you doing that?” he asked. We didn’t have time that January to measure more locations. So we said we would come back the next year. We did it for 39 years. Colgate eliminated J-term in 1989, and I didn’t want to give up traveling to Mexico with my students because, first of all, it was wonderful experiential learning, and I was collecting a lot of useful data. So I offered a spring-term course, Field Work in Archaeoastronomy, which is the interdisciplinary study of the practice of astronomy in ancient cultures, including the written and unwritten record. That became an extended study, because I told the students, “If you want to enroll in my course, you have to meet me in Guatemala City on December 27.” This was even better than J-term, because I had my hands on those students for the spring, and they could do their research papers on where we’d been. Then I instituted a prerequisite in front of that in the fall term. So they took Archaeoastronomy, which is a course I developed, in the fall term. Those who wanted to go all the way through would then pick up with the interterm and fieldwork course for a whole year’s experience. Out of that, I got some good scholars who went on to PhDs in archaeology and anthropology: Persis Clarkson ’75, Anne Dowd, Steve Fabian ’78, Peter Dunham ’80, and Beth Ferrigno DeWolfe ’81. Also, David Carballo ’95 is in the archaeology department at Boston University. He was a poli sci major who came out of nowhere and just took this class. Trained as a scientist, originally I rebelled against the very notion of teaching any class in the liberal arts, especially in a core program in which I was not an expert. How could I teach about Darwin if I’m not a biologist? It took me a while to realize that learning is a process. It isn’t about the product, and it isn’t about the transmittal of knowledge to the student. It’s about the process of learning. 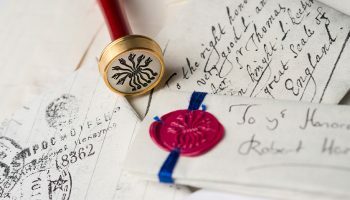 I began to feel that I was at an advantage when I didn’t know that much about the discipline, because I wasn’t encumbered with all the jargon that comes with it. I wasn’t rigorous in my position about what’s so important to teach, and so I’d be treading water with students — who could be going under — and pulling them up in that experience. In developing an understanding of cultures other than our own, I realized how important the liberal arts are and how important Colgate’s core program is. You cross disciplines and focus on broad problems and issues. So I’m a convert. I came here as a hardline quantitative scientist, but “interdisciplinary” is the key word today. Everything is interdisciplinary, cross-disciplinary. 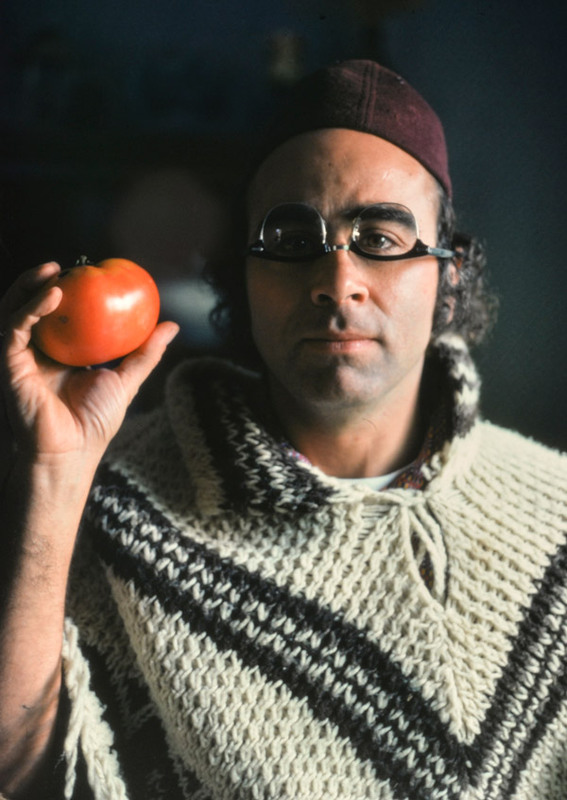 When I started doing it in the 1970s, not a lot of people were doing it. It wasn’t cool to do it. Now, if I become passionate about something, it doesn’t matter to me that it’s not something I’m qualified to do. I’ll work with the people who are qualified, and I’ll learn something. I’m a student in that sense. Had I chosen that other leaflet and gone to Florida State, I doubt very much I’d be doing this. Consequently, I take a lot of time to prepare class because people expect, oh, you’re such a big deal professor, you better damn well be good. So one thing that really bothers me is when students fall asleep in class. He leapt up, notebook in the air, flew over the seats in the auditorium, bounded out the back door, and I’ve never seen him since. I remember a class in which I was lecturing at the blackboard, and I heard this loud snorting noise coming from behind me. I turned around and there was this guy sprawled out over two or three seats, snoring. So I quietly dismissed 123 students. I then banged my stick on the table and started to lecture. The student woke up, blinked his eyes, and started to take notes. Then he turned to the right and saw an empty auditorium. He turned to the left, and there was no one there. I’ll never forget: He leapt up, notebook in the air, flew over the seats in the auditorium, bounded out the back door, and I’ve never seen him since. True story. Xultun is a Maya site in the northeast corner of Guatemala in the rainforest, very isolated, very overgrown. Bill told me that one of his graduate students was doing a little surveying and stumbled over a stone. He looked down, and he could see some colored paint. So they dug around it and they discovered this beautiful mural on a wall, dated to the 8th century A.D.
“Well,” he said, “there were several microtexts on there.” The inscriptions were mathematical, Maya notations of dots and bars. It turns out that the table runs for about 13 years, and it’s a table of moon phases — months where you go from new moon to full moon back to new moon. And the months are organized in semesters. (That’s a familiar word for us here in the academy. This is where it comes from: seis meses, en español, means six-month periods.) This was a table that certainly was used for a number of reasons, to fix the year and so on, but also to predict eclipses. The finding at Xultun was the single-most important discovery in Mesoamerica pertaining to astronomy in my lifetime. Previously, the only extant document we had from Maya land that has anything to do with eclipses is a document called the Dresden Codex, found in a library in Dresden, Germany probably brought over to Europe in the aftermath of the Inquisition and the burning of documents. That book is all about astronomy, calculating eclipses, and the appearance and disappearance of planets and so on for astrological purposes, because the Maya lived by omens. Who cares if it’s astrology? The point is the astronomy. The science is being driven by religion. Here you see this wonderful melding of the interest in religion and science coming together in studying these documents. The finding at Xultun was the single-most important discovery in Mesoamerica pertaining to astronomy in my lifetime. Thanks to this painting, we have proof that the Maya were predicting eclipses at least 700 years before the written evidence in the Dresden Codex. And I’m lucky enough, on the tail end of my career, to have witnessed it and contributed to it. We have a few publications on it, and I’m giving talks on it at various places, including the Society for American Archaeology. Again, credit goes to a lot of other people. This is a team effort. I had no intention of writing about Mayan end-of-world predictions, because the Maya never said anything about the end of the world. They didn’t say it was going to be destroyed in 2012. That’s strictly American pop culture. Dylan was a little more rational. 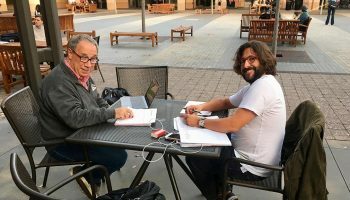 He put me wise to all the websites that talked about the end of the world, and he said, “Professor, you have to write about this.” He convinced me, and I wrote a little book called The End of Time: The Maya Mystery of 2012. All the media outlets interviewed me, and I gave lectures all over the place. It was quite a busy time. If anybody told me 54 years ago, when I came to Colgate, that I would be writing something that people who study religion would be interested in, I couldn’t have imagined it. But you follow the interesting stuff. As I looked further into it, I realized that this whole idea about apocalypse is very American. I’m not saying that nobody else is as apocalyptically oriented as Americans, but we are, and the truth of the story of why we are goes back to before the Puritans — the idea of this being the land where the second coming of Jesus will take place. Columbus writes it in his diaries. The seeds of the Reformation were being planted in Europe, and the devil was there. They had to reserve this place so that they could restore religion to what it was before those awful Protestants like Marty Luther corrupted everything. I learned a lot about the study of religion, and I enjoyed talking to people. As a result, it was Dartmouth College’s religion department that invited me to be a fellow in the Institute for Cross-Disciplinary Engagement this fall. If anybody told me 54 years ago, when I came to Colgate, that I would be writing something that people who study religion would be interested in, I couldn’t have imagined it. But you follow the interesting stuff. “‘… and 12 students have my permission to go to …’” and then he’d list the places where we would be going and give me the piece of paper. I would present this paper, and they would allow me to come in with my equipment. Now you’ve got to go through a little more bureaucracy, but the Mexicans are wonderful people. They’re diverse and they’re welcoming. I’m 78, a little old to climb pyramids now (although I still do some of that). But taking students to Mexico made my life. I never would have dreamed I would be doing that and then studying this weird thing about Mexico — especially having gone to the University of Arizona, which is an hour drive from the border, and I had no interest in Mexico or anthropology. So it’s a good lesson in how your job or your service can change the direction of your life. So I created a course, Astronomy in Culture, which Joe and I taught together 10 times. Joe was able to translate into visual imagery all of the ideas in that book. (What better thing to use with students today, who are so addicted to the image?) We had a series of lectures, discussions, and exercises, where we’d go to Stonehenge and see the stones. We’d go to Maya land and see the ruins, and the students would measure where the stars were and where the moon was. When you work with people like Joe, and when you have these older mentors who’ll say, “Yeah, we’ll let you do that,” you develop a love for an institution. That’s what I appreciate so much about this place. I’ve been lucky enough to have these people work with me. Alternately teaching and mugging for the camera, the professor is as likely to be caught laughing as lecturing. Comments like these began appearing on aveniretirement.colgate.edu in the months leading up to Tony Aveni’s final day in the classroom, and they continue to flow in, illustrated with personal snapshots from trips to central America, parties on the old golf course, and alumni get-togethers. Alternately teaching and mugging for the camera, the professor is as likely to be caught laughing as lecturing. But that’s the Aveni magic. 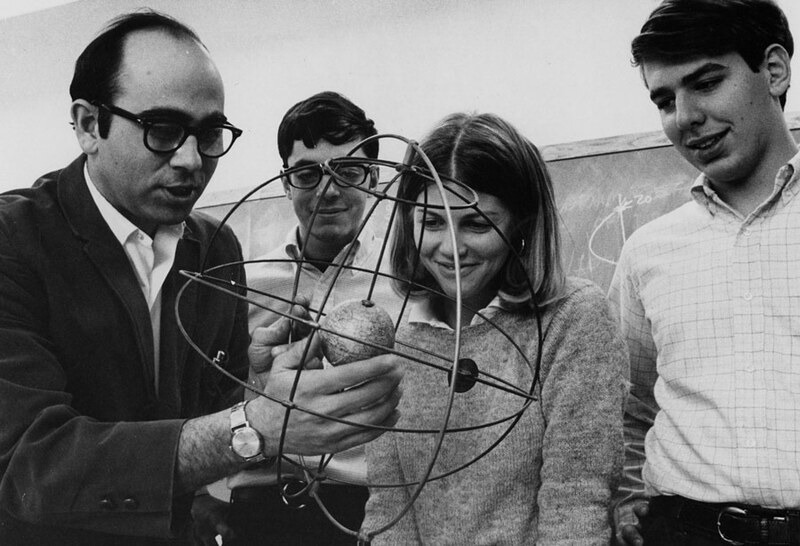 For more than half a century, he has simply asked his students to stand next to him and look up at the sky. Thanks to his wisdom, kindness, and clever wit, they have accepted the invitation by the thousands. And having stood under the heavens with him, they often decide that they would happily follow him — their teacher, scholar, and friend — to the edge of the universe. Great piece. My parents were great friends with Tony and his family and I think I mowed his lawn as a younger person. I would like to share this with my Mother but, as she is a tech-no-phobe and will have no truck with a computer, is there a printable version available? 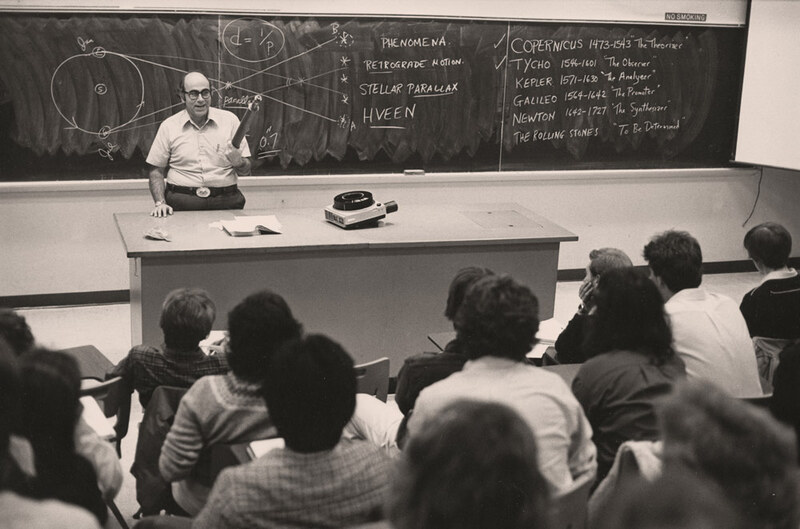 Professor Aveni’s classes were simply the most fascinating, rewarding and best classes I ever took at any level of education. Period. It’s time for Colgate to rebuild its (our) observatory, and do so in Tony’s honor on this occasion. Here’s to the Aveni Observatory! I enjoyed this fine tribute to one of my most esteemed colleagues, especially the section by Tony himself. But he is a very modest man and so this does not tell anywhere near the whole story. I want to add that he was the inspiration behind a major rejuvenation of the entire General Education Program when he was the head of University Studies. He provided the energy, administrative skills, and many of the ideas that lay behind this. 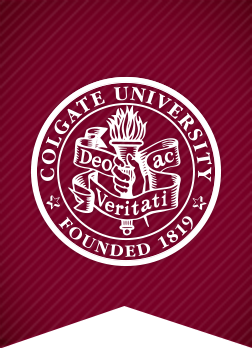 My point is that for many years ALL Colgate students, most of whom never took a class from the man himself, benefitted greatly from his dedicated work because they took courses in this interdisciplinary Program. Working with Tony was a pleasure and a privilege. This was an amazing write up about Tony, he is a awesome guy, never a dull moment when he’s around. We have had many laughs. Attended several of Dr. Aveni’s non-student lectures. Was especially intrigued by the one about the Black Hole. He made them all super interesting. 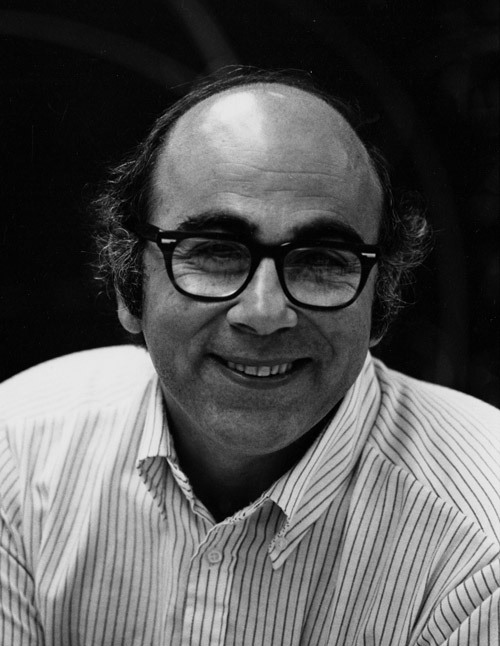 I had the pleasure of being a student of Dr. Aveni in the “very early days” – and he was as good then as he is now. This week-end (6/3/17) I had the pleasure of spending much of an afternoon with Dr. Aveni and his wife and a few other students just “talking” on the porch at his house in Hamilton (I was there for my 50th college reunion). It was the highlight of our reunion week-end. My 50 years of technical success is surely the result of being a student of Dr. Aveni.